We have discovered a new TIME LOOP in Wyoming! Now you have a unique opportunity to become a professional time traveler. Visit the museum and enter the loop to find out what was going on in Pinedale from 1890 to 1970. 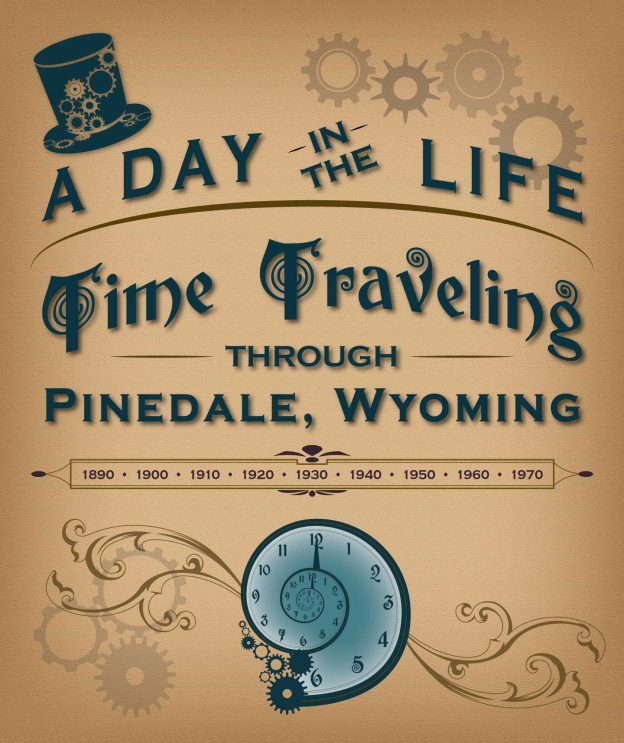 Pinedale’s unique past is brought to life with steampunk-style graphics and historic objects and clothing from deep within the museum’s collections. Whether you are a native of Wyoming or just traveling through the region, you are sure to enjoy this new and exciting exhibit.